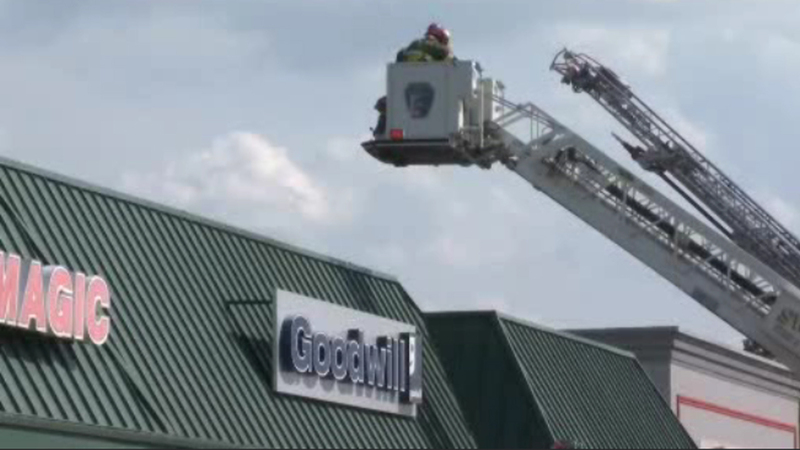 SPRINGFIELD TOWNSHIP (WPVI) -- Fire crews battled a fire that broke out at a Goodwill store in Springfield Township, Delaware County. Firefighters were called to the scene along the 700 block of Chester Road just after 4 p.m. Friday for smoke showing. Firefighters on location say the fire appears to have started in a rooftop air conditioning unit, which filled the building with smoke.